Three innocent questions that will get you kicked out of Church! 29 Jul Three innocent questions that will get you kicked out of Church! Before you get too excited about rapture prophecy, maybe you should consider three innocent questions that could get you kicked out of your church! Jesus told his disciples that he would return as judge before they had all died (Matt. 16: 27,28). He also said that he would return before that first century generation had passed away (Matt. 24:34). Did he return as he promised or did Jesus make a mistake? In the book of Hebrews we read: “Yet a very little while and he who is coming will come and will not delay.” (Heb. 10:37). Those words were addressed to people living almost 2,000 years ago. Also, all of the other New Testament writers express this same eager expectation of Jesus’ imminent return. Did he return in a “very little while… without delay” or did the New Testament writers make a mistake? 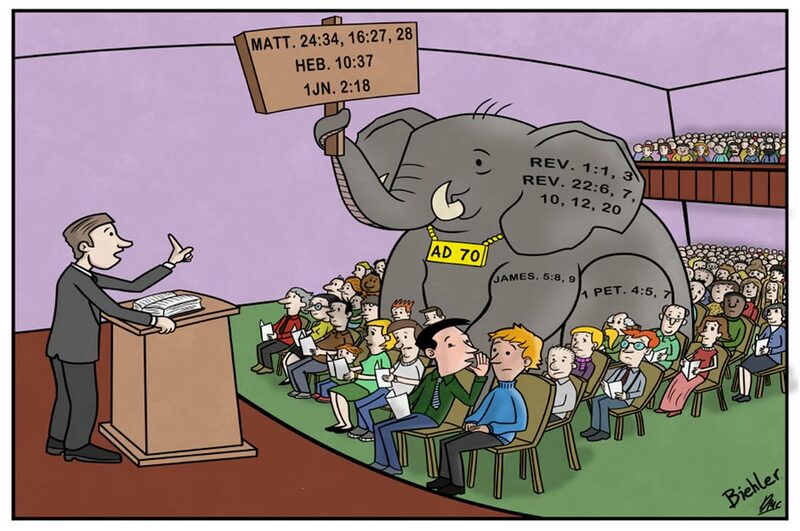 Is it possible that preachers and pastors have made a very big mistake and are too proud to admit it? Blind leaders of the blind preside over our fading, divided church. 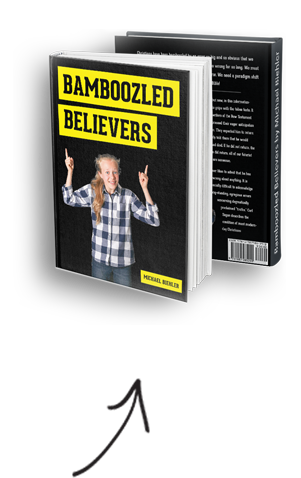 Real Bible study gives rise to questions that our bamboozled leaders cannot answer, so we study books about Christian living while the Bible is neglected. We are losing the intellectual battle to atheists and Muslims who mock us over supposedly unfulfilled prophecy and our pharisee-leaders have no answer except to deny the prophecies that Jesus and his disciples so clearly enunciated.. I urge you to stop forcing futurist preconceptions into your reading of the text and simply accept what it says. The scales will fall from your eyes; you will see truths that have been hidden in plain sight. As we embrace the simple truth of the Bible, we will be revived. The truth will set us free!